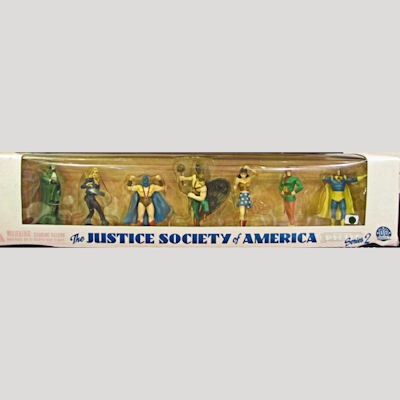 Justice Society of America PVC Set 2 contains The Spectre, Black Canary, Atom, Hawkman, Wonder Woman, Mr. Terrific, and Dr. Fate.